For roughly 50 million years, a very cool partnership has existed on the ocean floor. It’s valued at more than a trillion dollars, but it may no longer exist in 30 years. The alliance at risk is a symbiotic relationship between corals and the microscopic algae that live in their tissues. One can’t live without the other. But excess heat compromises that partnership, and coral reefs are perishing at a rate that has exceeded even the direst predictions. Climate change has put us in the midst of the third—and worst—global coral-bleaching event on record. In 2016 alone, 22 percent of the corals on the Great Barrier Reef died. That’s the equivalent of losing most of the trees between Washington, D.C., and Maine. Over the last few years, a Boulder-based film crew set out to document this rapid decline of coral reef systems, against considerable technical and logistical hurdles. The film, Chasing Coral, documents not only the science of coral and its crisis, but also the means that it took to capture it on film. 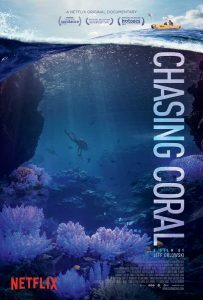 At this year’s Boulder International Film Festival, Chasing Coral won Best Call2Action Film, Best Documentary and People’s Choice for a Feature Length Film. It also won the 2017 Audience Award for Best U.S. 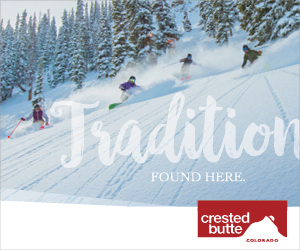 Documentary at Sundance, where Netflix picked it up with exclusive rights. It will be available on Netflix on July 14. 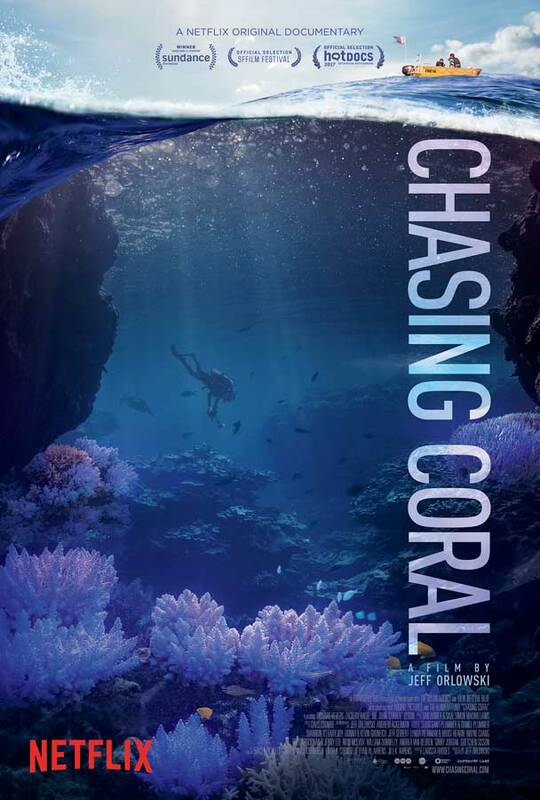 Conceived by former ad executive Richard Vevers, who decided that the problem of saving Earth’s greatest source of life could use some advertising expertise, Chasing Coral was directed by Jeff Orlowski, founder of Exposure Labs in Boulder. Orlowski also directed the Emmy Award-winning film Chasing Ice in 2012, documenting evidence of climate change by filming the rapid disappearance of Arctic glaciers. Coral reefs are widely known for the tourism dollars they bring to many countries, but tourism only scratches the surface of their value. “Corals build the structure, they form the habitat for everything that lives on them. As a result you have this entire ecosystem that provides the main source of food to over 500 million people around the world,” explains Mark Eakin, Ph.D., coordinator of the National Oceanic and Atmospheric Administration’s (NOAA’s) Coral Reef Watch program. 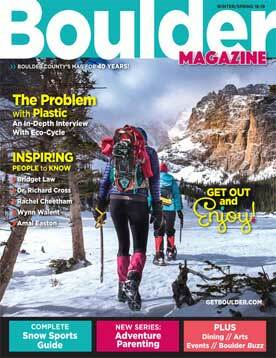 (From 2000 to 2005, Eakin worked in Boulder as director of the World Data Center for Paleontology.) 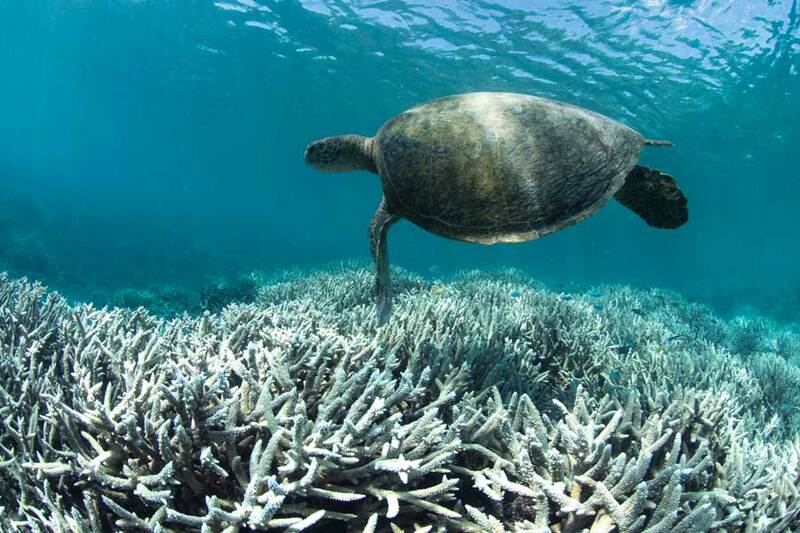 Reefs also provide shoreline protection from large waves and severe weather, like cyclones. Even if you never eat seafood or set foot near the ocean, you may have benefited from coral reefs. 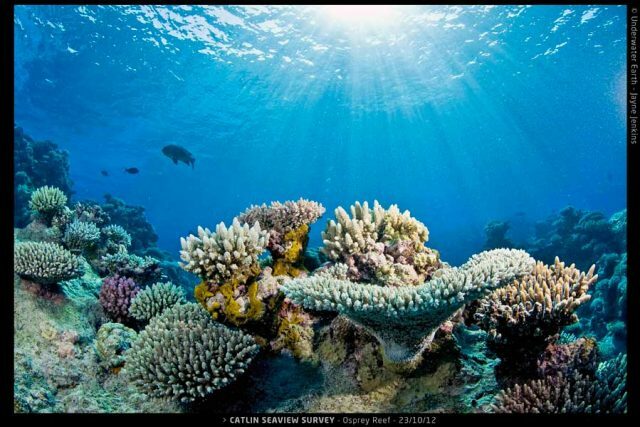 “Coral reefs are sometimes considered the medicine cabinets of the 21st century,” according to a page on NOAA’s National Ocean Service website. Medicines for cancer, arthritis, bacterial infections, Alzheimer’s disease, heart disease and viruses are all being developed from coral-reef plant and animal sources. Though corals are sessile (meaning they permanently attach themselves to a spot), they are animals: They don’t produce their own food. It’s those microscopic algae that give corals not only their color, but also their nutrition (corals also use their tentacles to eat zooplankton). The algae benefit by using a coral’s metabolic waste—carbon dioxide and nitrogen—for photosynthesis, which is the process plants use to make food. The corals, in turn, benefit as the algae perform photosynthesis, removing waste, producing oxygen and supplying food to the coral. When temperatures increase by just 1-2°C (or 1.8-3.6°F), the algae can no longer function properly, and corals expel their companions into the water. 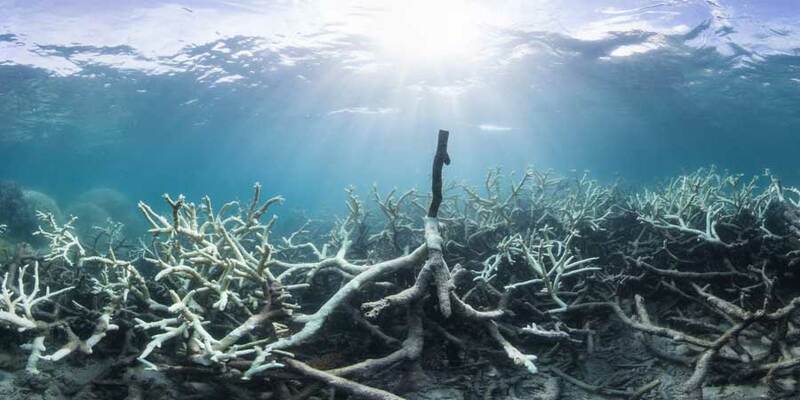 It leaves the corals white—you can see through their tissues to their skeletons—and this bleaching “leaves them starving, sick and injured,” Eakin says. The level of stress resulting from elevated temperatures on coral reefs is in part due to the temperature itself, and in part due to the duration of time that the coral experiences that temperature. After a few weeks, a coral will bleach, and after one or two months, it will die. An analogy, says Eakin, is for a person to run a 101°F body temperature for one to two months; it’s not sustainable. Just stack up the hurdles and it’s no wonder this filming project hadn’t been accomplished before. When Orlowski took on the documentary, he approached another Boulder company, View Into The Blue, to customize a self-cleaning underwater camera system. The cameras would need to endure the harsh environment of water pressure and salinity while gathering footage for a flawless, cinematic-quality film. That would prove to be a notable challenge. Another feat was deciding where to go, and this is where Eakin played a vital role. The crew needed months of lead time to accomplish a number of logistics before filming could begin, including obtaining permits, scouting sites and constructing systems that attached to the ocean floor. 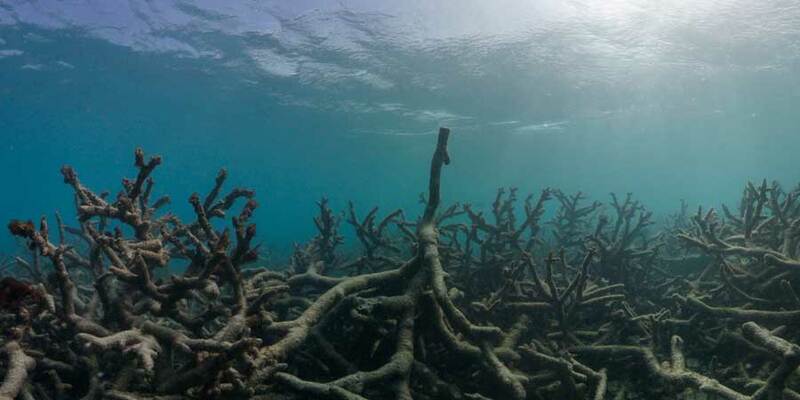 Eakin used satellites and climate models to pinpoint locations where temperatures were on the verge of a breaking point toward coral bleaching. But while models can provide important clues about what’s likely to happen in the near future, “Weather gets in the way,” says Eakin. “You can’t predict hurricanes or storm fronts that far in advance.” Yet another challenge. Despite the odds, the story Chasing Coral tells is not about despair. It’s about standing up and creating change, and Vevers, who set the film in motion, says he has seen so much change for the good of the planet that he’s optimistic. He believes any problem can be solved with a little creativity. 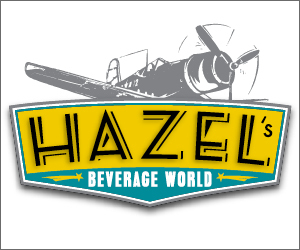 It’s just about spreading the story. Shannon Burgert, Ph.D., teaches fifth grade in Louisville. Through snorkeling and scuba diving, she’s among the lucky 1 percent who’ve seen the incredible diversity of coral reefs.